Thanks to a unanimous County Commission vote on April 10, the Mira Mar neighborhood on-street parking permit program will remain in effect indefinitely. On a motion by Commissioner Alan Maio, seconded by Commissioner Michael Moran, the board approved a revised ordinance without a sunset date. Prior to that April 10 vote, the program was set to expire on Nov. 1. A staff memo written for the commission in advance of the public hearing explained the reasoning behind the staff request for deletion of the sunset provision. After the county’s Traffic Advisory Council considered the request, that board recommended the County Commission take the step residents were seeking, the memo pointed out. “As a result, on June 20, 1995, a residential permit parking area was established for the [Mira Mar] neighborhood,” the memo said. The ordinance included language calling for the program to sunset in one year. Some of the subsequent, similar ordinances for the Mira Mar parking permit program had sunset dates and some did not, the memo explained. 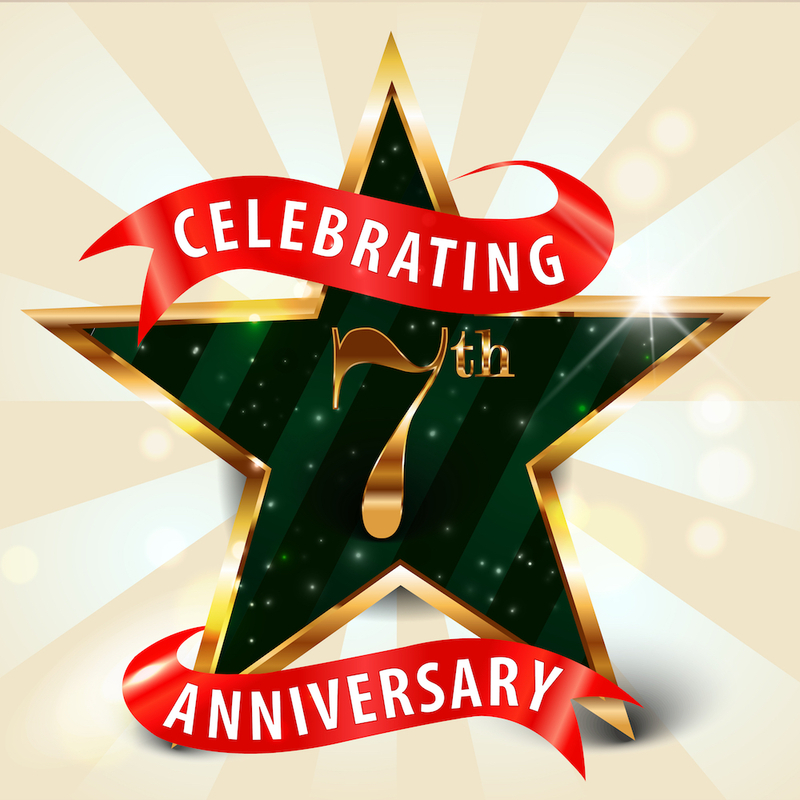 Most recently, on Aug. 26, 2014, the commission approved the ordinance that was set to expire on Nov. 1. Signage in the area notes the necessity of parking permits, the memo added. During recent staff updates to the affected property owners, the memo noted, staff found continued support for the parking prohibition. The memo also pointed out that the owners wanted to see the sunset provision removed from the ordinance, and county staff did not object to that. No member of the public signed up to address the board during the hearing on April 10. Charges filed against Siesta property owner and manager Michael Holderness following a late December 2018 incident near Beach Access 2 have been dropped, The Sarasota News Leader has learned. The case involved a confrontation between Holderness and Michael Cosentino, who was clearing sand from part of North Beach Road near parcels Cosentino owns adjacent to Access 2. Holderness had been charged with two felony counts, Robbery by Sudden Snatching and Tampering with Evidence. Cosentino told the News Leader he had no comment for publication. A representative of Holderness said Holderness would provide a statement to the News Leader, but the News Leader received nothing prior to the publication deadline for this issue. Last year, after the Nov. 6 General Election, 12th Judicial Circuit Court Judge Frederick P. Mercurio was reassigned to Manatee County, the court’s website indicates. He had been presiding over two cases related to the May 2016 County Commission vacation of a 373-foot-long segment of North Beach Road. One is a lawsuit Siesta resident Mike Cosentino filed against the county in June 2016, contending the action violated county regulations. 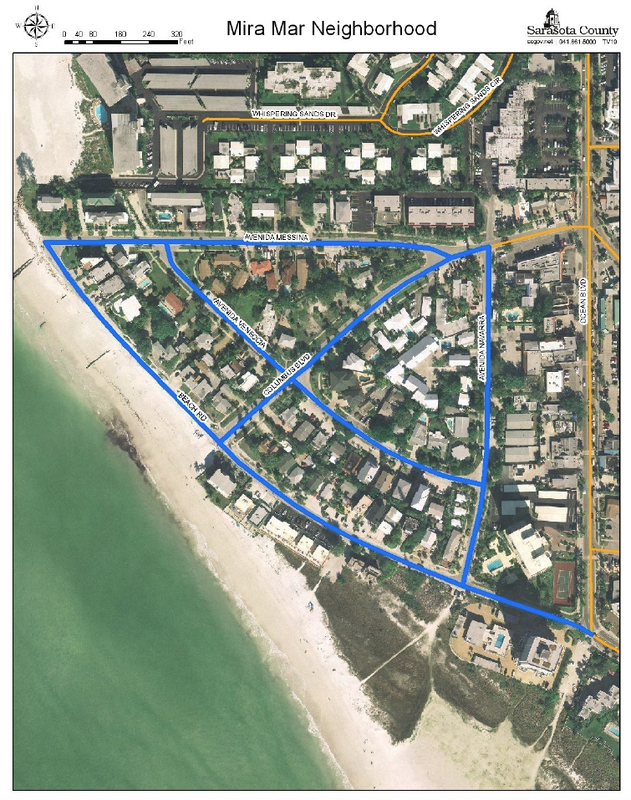 The second, filed in October 2018 by members of the Caflisch family — owners of property on North Beach Road — sought to have two proposed Sarasota County Charter amendments Cosentino had written thrown off the Nov. 6, 2018 ballot. Both amendments were related to the road vacation. Mercurio declined to have the proposed amendments removed from the ballot, and they passed with overwhelming majorities. After the election, both Cosentino cases were reassigned to newly elected Circuit Judge Maria Ruhl. Following Ruhl’s action, Chief Judge Charles Williams reassigned the Caflisch case to Circuit Judge Andrea McHugh. In Cosentino’s lawsuit against the county, Ruhl also filed an Order of Disqualification, citing the same Florida Rule of Judicial Administration. She took that action on March 18. The very same day, Chief Judge Williams reassigned that case to Judge McHugh, too. Thus, McHugh is presiding over all the issues relative to the North Beach Road dispute. On March 28 — just 10 days after Ruhl filed her first Order of Disqualification— Assistant County Attorney David M. Pearce filed a motion seeking to consolidate the Cosentino cases. He pointed out that the Charter amendments also factor into Cosentino’s lawsuit, thanks to third-party action by intervenors in that case. The Caflisches did not object to his motion, Pearce pointed out, and Cosentino’s attorney neither had objected nor agreed with the motion, as of his filing. The issue was to be part of a case management hearing that was scheduled for April 1, Pearce noted. However, court records show that Ruhl did not hear any arguments on the consolidation issue on April 1, having recused herself from the case. 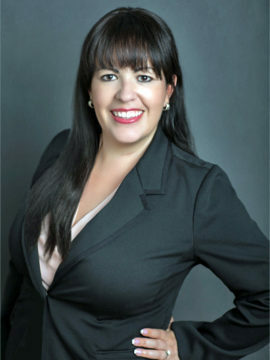 With Circuit Judge Frederick P. Mercurio last year having dismissed the last part of Siesta resident Mike Cosentino’s lawsuit against Sarasota County over the vacation of a segment of North Beach Road, Cosentino appealed the decision to the Second District Court of Appeal in Lakeland. When The Sarasota News Leader last checked on the status of that case, it learned that Cosentino’s attorney, Lee R. Rohe of Big Pine Key, did file his initial brief on March 4. 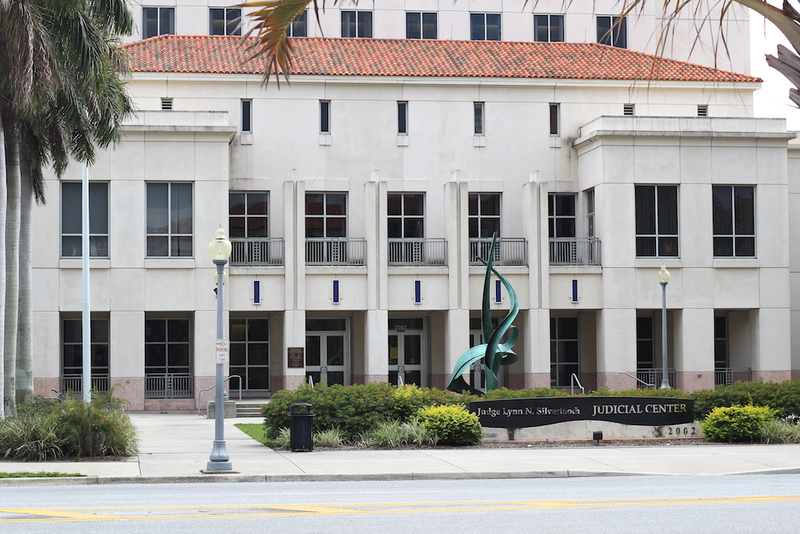 Assistant County Attorney David M. Pearce filed an answer for the county on March 25. Then, on April 9, Rohe filed a motion for extension of time to file a reply to the county’s brief. The court granted that on April 10, giving Rohe until May 23. 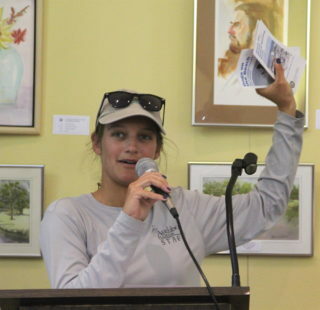 Kylie Wilson, Audubon Florida’s coordinator of the Bird Monitoring and Stewardship Program in Sarasota County, has reported less trouble with vandalism of designated nesting areas since she alerted the public to problems the last week of March. 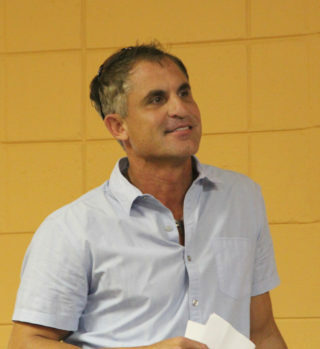 Wilson briefly addressed members of the Siesta Key Association (SKA) during their April 4 meeting, asking, especially, for help in keeping dogs off the beach and in educating visitors about the snowy plovers, whose population has been declining in this part of the country. “They are a very special bird here,” Wilson explained of the plovers. “They’ve also been doing pretty poorly,” she said, in terms of nesting. Wilson acknowledged that, because of their coloring, “They’re kind of an invisible bird” on the beach. “Educating people is key,” Wilson pointed out. Last year, SKA President Catherine Luckner added, was the first time in at least 12 years “that we absolutely had no successful nest” on Siesta. Wilson brought with her pamphlets for people to pick up, which have lots of information about the snowy plovers. 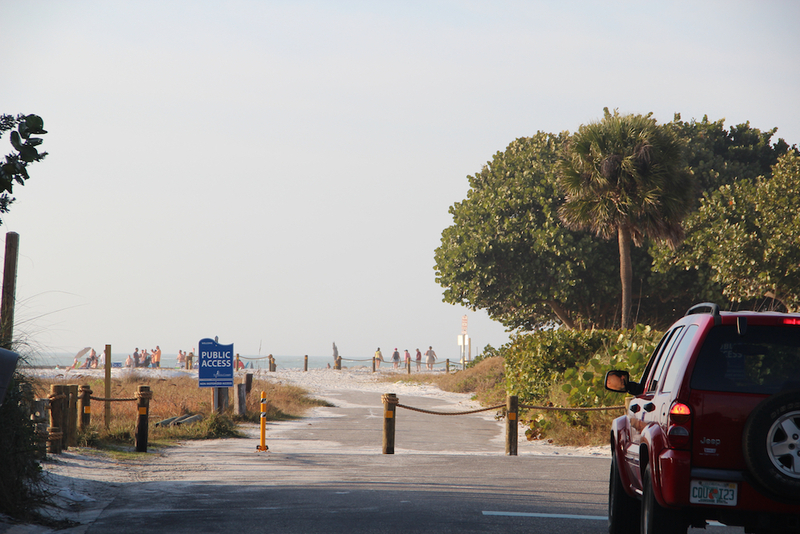 Last year, Wilson said, the first snowy plover nest was discovered on Siesta on April 23. She pointed out that the materials also include phone numbers for the public to call if someone sees an incident of vandalism or a violation of the county’s ban on dogs on the beach. “We’re trying to boost the number of calls” to the Florida Fish and Wildlife Conservation Commission (FWC), Wilson continued, as that agency has jurisdiction over wildlife issues. Wilson told the SKA members on April 4 that she was hopeful that if enough people phoned the FWC about problems on the beach, the agency might offer regular help to her in monitoring the nesting situation. Anyone who sees dogs disturbing wildlife is asked to report the incident to FWC’s Wildlife Alert Hotline, which is 888-404-3922 (FWCC). On a cell phone, a person can hit #FWCor *FWC, or a person can text Tip@FWC.com. Wilson sends weekly updates about nesting not just on Siesta but on Longboat and Lido keys, as well. In her April 12 report, she wrote of the situation on Siesta: “Our Snowy Plovers are taking their time. I have only been seeing 5-6 birds lately.” She noted that the figure was down from the 10 to 12 she saw at the beginning of the season.